Themed party decorations are available, or I can make custom decorations for your theme including centerpieces and balloon decor. Theme parties are perfect for Super Sweet Sixteens, Bar or Bat Mitzvah's, Dinner Dances, Proms, Fundraisers, Showers, Jack and Jills, Birthdays or any other time you just want to throw a special party! Contact mary.carlson76@gmail.com for a quote or to reserve your date. We work in Connecticut. 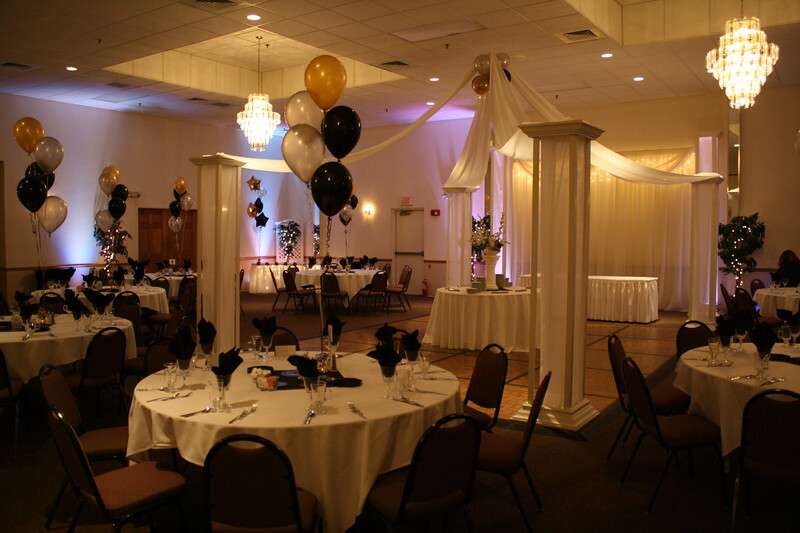 Adult Birthday Party- Dance Canopy with balloon center, up lights and balloon centerpieces.